If you have a friend who’s experiencing computer trouble on their Microsoft Windows 10 system, or you just need to show them how to do something, you can help them right from where you’re sitting. Applications like WinVNC or LogMeIn used to be what was needed to access a computer remotely. They aren’t really needed anymore because Windows 10, 8, and 7 all come with Windows Remote Assistance built into the OS. Here’s how to use the feature. Hold the Windows Key, then press “R” to bring up the Run box. Select “Invite someone you trust to help you“. You may be able to select “Use e-mail to send an invitation” if your default email client is setup properly. This option will automatically start an email message and add the attachment you need. All you’ll have to do is type in the email address to the person you’re sending it to and send it. 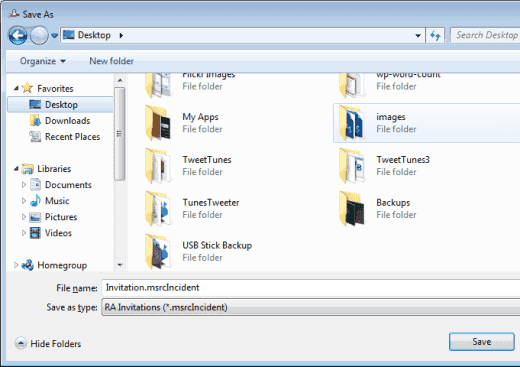 In most cases, you’ll have to choose “Save this invitation as a file” and proceed with the next step. Choose a place to save the invitation file. I like to place it where I can find it on my Desktop. Choose a location, then select “Save“. A window will open with a password. Keep this window open, otherwise the session will end. Compose a new email message using whatever email service you use. Provide the password you were provided and attach the invitation file to the message. Send it off to the person you want to connect to your computer. Type “msra“, then press “Enter“. Select “Help someone who has invited you“. Select “Use an invitation file“. Type the password provided in the email. Select “OK” and you are connected and can control the desktop using Remote Assistance. Remote Assistance doesn’t work on the Pro version of Windows 10 that I have in my PC. 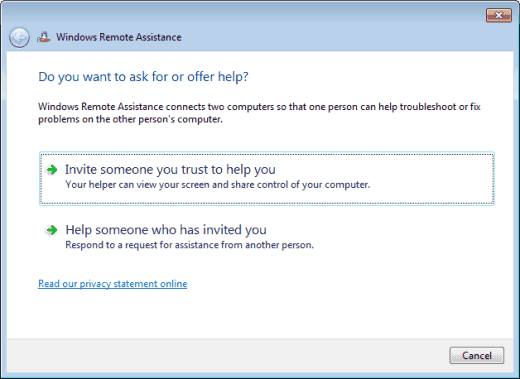 I tried it today because my mother needed help and we’ve been able to use Remote Assistance before (then under Windows 7). BUT, because she now have Win 10 Home I can’t connect to her computer at all, and I’m using Win10 Pro. She can actually send an invitation file and the password and I received and place it in my RA window but nothing happened. It says that I can not connect to the remote computer. Nothingelse worked. Very frustrating indeed, What can I do? Because of the new security procedures done by Windows 10 at the beginning of May, I could not remotely connect to my office computer from my home computer. Through the use of ZOOM and assistance from my institution’s IT person, he was able to find and solve the situation. Now I can successfully connect to my office computer from my home computer. The new update of Windows 10 done on or around May 8 really screwed up remote connections and I was not the only one from my place of employment to be affected. 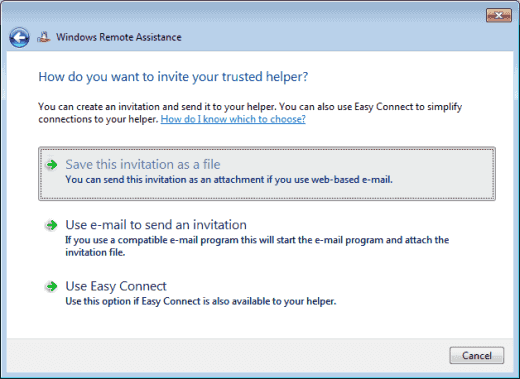 Remote Assistance doesn’t work on less than the Pro version of Windows 10. I tried it today because my mother needed help and we’ve been able to use Remote Assistance before (then under Windows 7). BUT, because she now have Win10 Home I can’t connect to her computer at all, and I’m using Win10 Pro. She can actually send an invitiation file and everything, but nothing else works (the way it used to). Very frustrating indeed, and especially cause I blamed her a bit for doing something wrong.. as I thought. All you need to do is click in the search box then type “help”. It will show up as one of the choices. The run command is a precise and direct choice from several different ways to get there. Why in the WORLD was Remote Assistance changed to a “Run” Command? Ever since I went to Windows 10 I have been unable to connect to ANY computer I was able to before, making helping my family and friends MUCH more difficult. 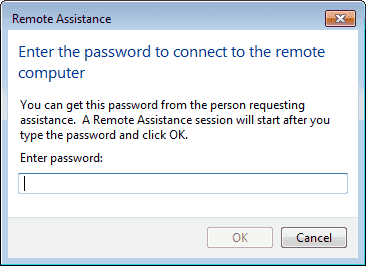 The emails I get from them requesting assistance will not work – double-clicking the attached file doesn’t work – then, using this “Run” command method of bringing up RA is not intuitive, when before it was actually on the start menu of programs, and finally if NEVER successfully connects. RA used to be a great tool, and now it’s completely useless. And, looking on the Microshaft site, Looking for help is nigh-impossible, as all the Windows 10-specific help is on a different area with NO search capability. My 83 year old Mom recently downloaded Windows 10. Now her printer is not set up, and several other issues she can’t handle including finding where to request my help that she could do with my help in Windows 7. This tutorial will help so much!!!! Thanks.